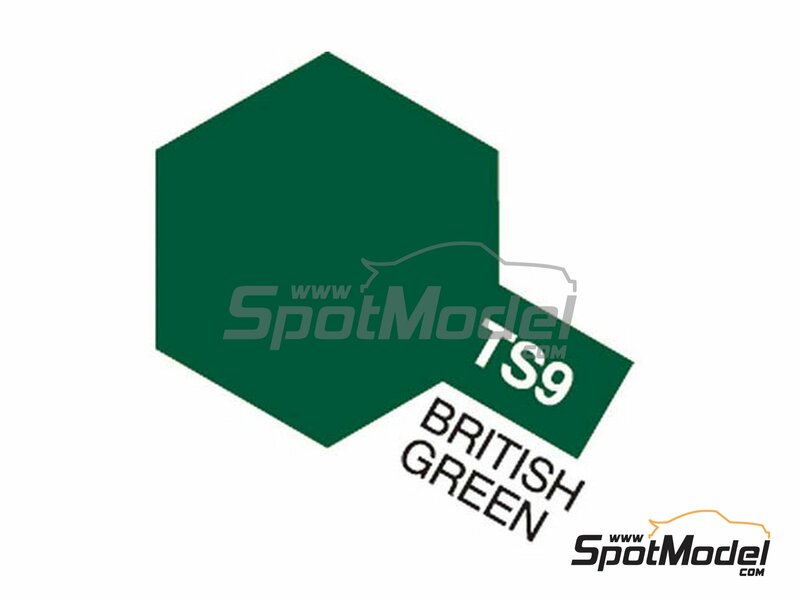 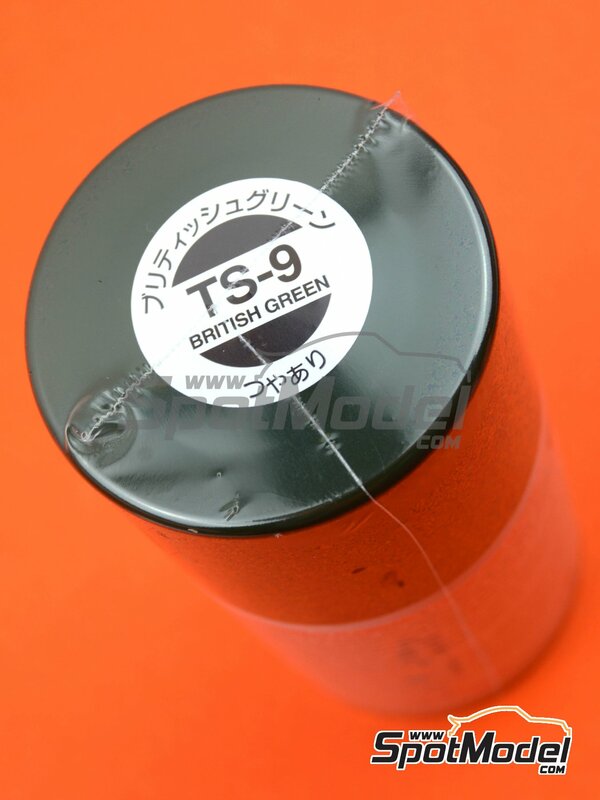 English green spray paint, containing 100ml. 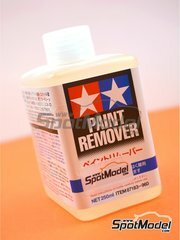 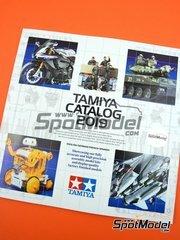 Manufactured by Tamiya with reference TAM85009 (also listed as 85009, TS9 and TS-9). 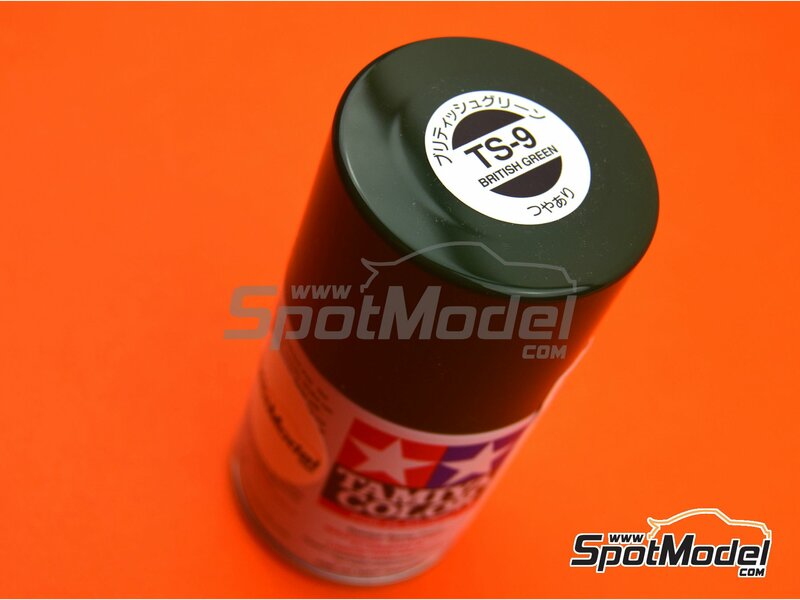 Package measures 52 mm x 52 mm x 105 mm (width x depth x height), weighting 140 g.